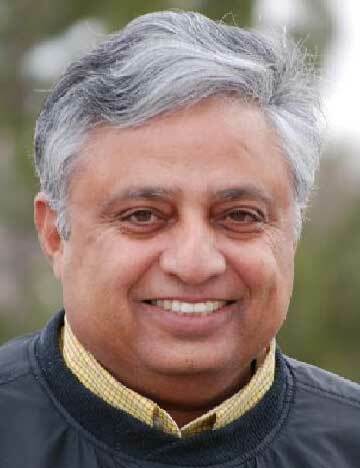 30 July : In a remarkable interfaith gesture, acclaimed Hindu leader Rajan Zed has been invited to inaugurate and bless the Unity Center in Nevada’s capital Carson City, which houses a Christian church named Unity Church of Today (UTD), with Sanskrit shlokas from ancient Hindu scriptures, next month. Zed, who is president of the Universal Society of Hinduism, plans to pray on the occasion from Rig-Veda, oldest existing scripture dated around 1,500 BCE, besides Upanishads and Bhagavad-Gita, both ancient Hindu scriptures. Jewish, Buddhist, Christian, Native American, etc., prayers will also be held on the occasion, according to Reverend Larry Edward Schneider, Minister of the Church, who says, "We are dedicating the Unity Center as a place for Spiritual Transformation – one where we are working together in lighting the infinite paths to awareness." He wants to open up the Center to all spiritual traditions. Rajan Zed stresses that despite our seriously different traditions; we should learn to live in some sort of trust and mutual loyalty. God, as a sign of God’s bountifulness and generosity, positively willed the existence of different faiths. UTD is affiliated to Unity, headquartered in Unity Village, Missouri, which began in 1886 when Charles Fillmore and his wife Myrtle discovered a way of life based on affirmative prayer. Unity is described as "positive, practical Christianity" which teaches "effective, daily application of the principles of Truth taught and exemplified by Jesus Christ." The Bible is the Unity’s basic textbook and currently there are over 900 unity churches. Hinduism, oldest and third largest religion of the world, has about one billion followers. Moksha (liberation) is the ultimate goal of Hinduism. Mission of Unity Church of Today, which had been functioning in Minden (Nevada) since 1990, is to awaken, acknowledge, and nurture the Christ spirit in everyone. It is dedicated to prayer, meditation and living a God centered life, according to Reverend Schneider.